Renault India, the fully owned subsidiary of Renault has unearthed the new variant of Renault Fluence E4 D. The new Renault Fluence Diesel E4D price is tagged at Rs.15.40 lakh which makes it a top end variant. 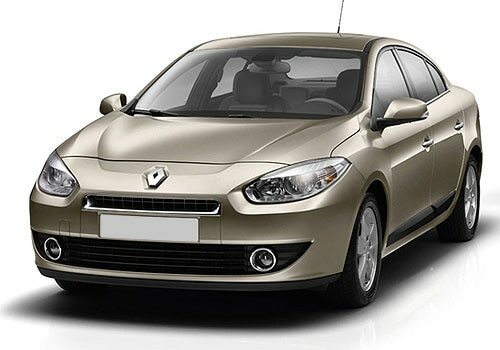 New Renault Fluence E4 D comes loaded with 1.5 dCi (K9K) engine that produces peak torque of 240 Nm with 110 Ps of power. The Renault Fluence E4D pictures depicts the iconic standards of Renaults’ stable which brings in comfort, convenience, styling, safety and technology, all in one power packed offering. The New 1.5 dCi engine will give the Fluence a class leading fuel efficiency of 20.4 Kmpl (ARAI figure). The new 1.5 dCi, engine will produces 110 PS of power and 240 NM of Torque. The 1.5 dCi (K9K type) engine has a special place in the diesel car range. It is one of Renault’s top-selling engines with more than 1 million units sold globally in 2011.The new diesel is also low on emission levels. Talking about the interiors of the new sedan car, the car boasts of spacious interiors that adds to the plush ambience of the full leather upholstery and the well thought out cabin space enables five adults to sit comfortably in the luxury car. Traveling will also be comfortable with the sedan having boot capacity of 530 litres and automatic dual zone AC and climate control system having individual vents for the rear seats. Other features include smart card entry with automatic start/stop button along with electrically foldable ORVMs, 4 Music system with USB and Bluetooth connectivity with AUX-IN, cruise control to make the drive smoother in the rushy Indian roads and rear end sunblind’s. Renault Fluence E4 D is also high on the safety side with Brake Assist, ESP (Electronic stability program) & ASR and ABS with EBD. 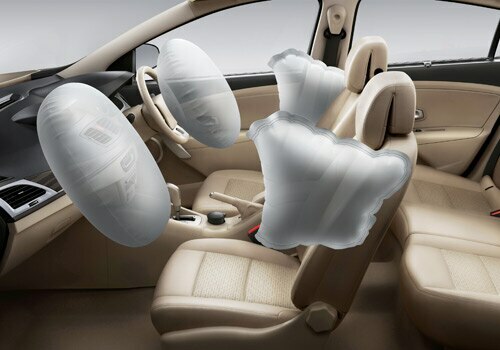 The car also features dual front and side airbags for front seat passengers and load limiters. I recently shared that Maruti Ertiga to spice up the Indian MPV market this April and Seven-seater 2012 Mitsubishi Outlander launched.